Buying essential living room furniture that will last is a smart investment. When you can find furniture that stays in style and holds its quality year after year, you don’t have to worry about overspending to keep up with the trends. And we’re not talking about small accent pieces — we mean the large, fundamental pieces of furniture that every living room should have. The trick to picking these pieces is sticking with neutral colors and simple designs that you can pair with on-trend accessories. We’ve picked out some perfect pieces that you can enjoy for a long, long time. 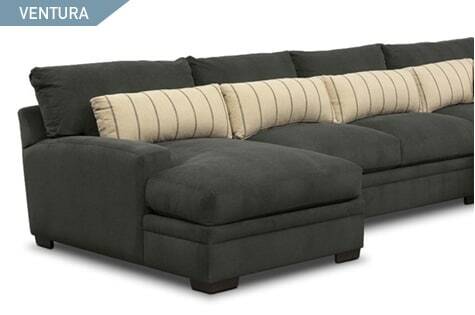 Dark grey, or charcoal, is a versatile color choice for a sectional. It’s perfect for pairing with bright or rich accent colors, so it’s easy to match with accessories that fit the current trends. This Ventura sectional is constructed with hardwood for durability and has Cumulus Cushion Technology™ to ensure comfort. With a quality piece like this, you won’t have to continuously swap out your sofa to keep up with the Joneses. 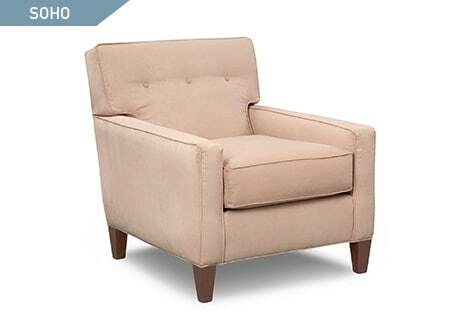 Beige is a classic color choice for upholstered furniture. This Soho chair, by Kroehler®, has a clean, simple design, and the cobblestone color lends itself well to mixing and matching with different décor. The sturdy frame is built with solid hardwood and engineered wood products, so you know it will last. Tip: use a decorative throw blanket to add some extra pattern or color. Construction is key when choosing a coffee table that will endure. The table can have detail, but nothing overly ornate. 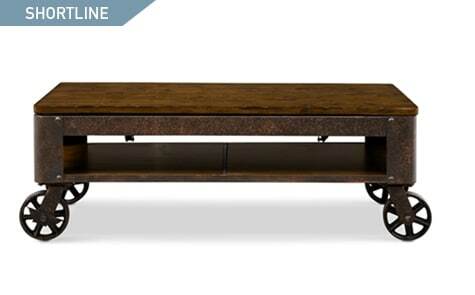 The Shortline coffee table has a simple, industrial design, with wheels for easy mobility. It’s built with hardwood, veneers, and metal to ensure strength and durability. This table is going places. End tables add an extra layer of detail to a living room. 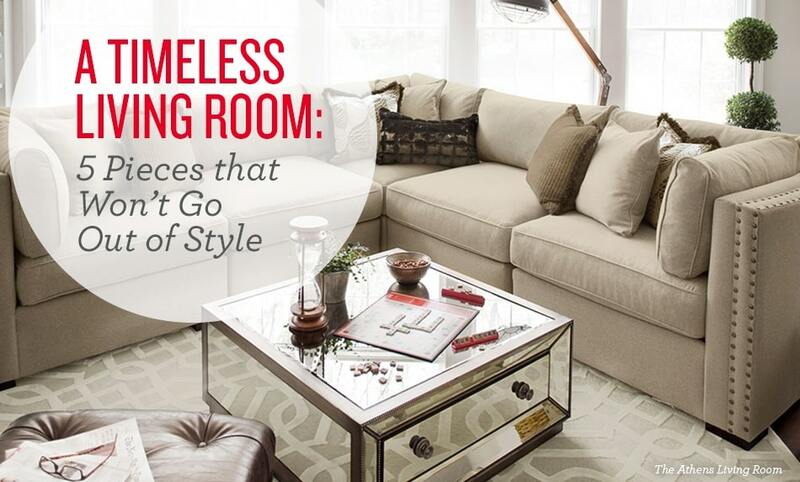 Round end tables not only save space, but they’re never outdated. 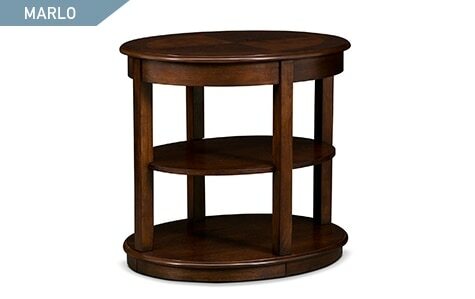 The Marlo end table is built with hardwood solids, guaranteeing quality. As long as you stick with an uncomplicated design, like the Marlo, your interior design will never become passé. Stop thinking of rugs as just accessories. Rugs are more than that—they’re furniture! Rugs are vital pieces to any room because they add pizzazz to neutral spaces. 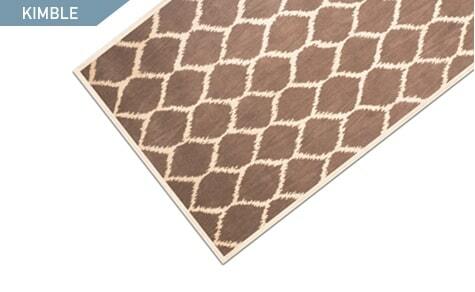 This Kimble Area Rug is made from eco-friendly and sustainable hand-woven wool. This rug has a fun pattern and will stand the test of time. Something to remember: essential doesn’t mean boring. You can actually have more fun decorating once you’ve established the basics of your living room. Try switching around the throw pillows and add some funky lighting to keep your living room décor fresh without changing the larger pieces. Quality, stylish pieces keep your interior design stylish, simple, and perfect.